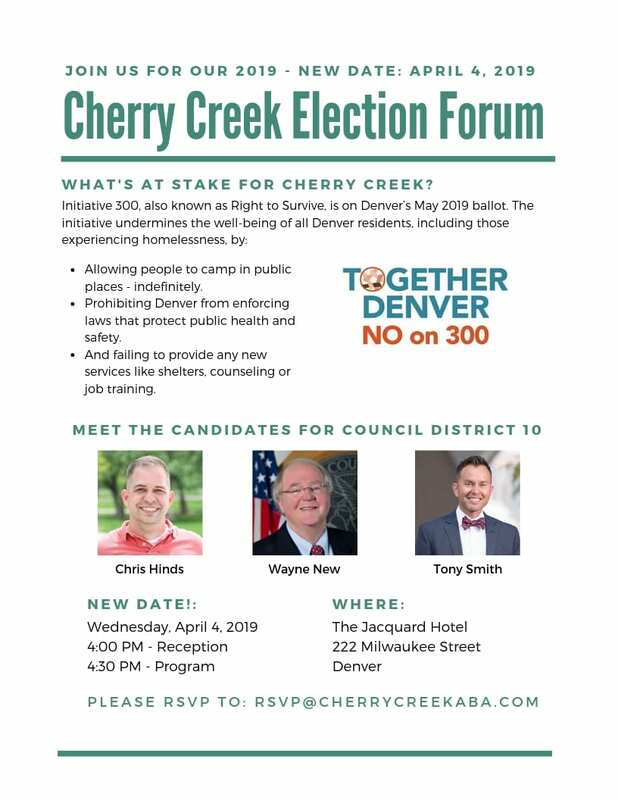 I hope you can join Cherry Creek Business Alliance for our rescheduled Cherry Creek Election Forum. Please share this invitation with your neighborhood organizations. All are welcome! We’ll have a panel discussion with the 3 candidates running to represent Council District 10 and a presentation from the No on 300 campaign. We’ll also have No on 300 Yard Signs available at the event.